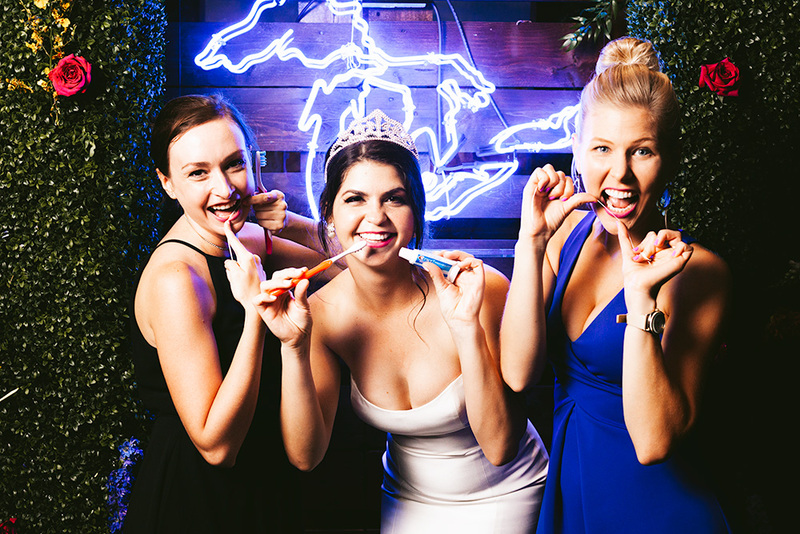 Our open-air, interactive photobooth provides modern, elegant party portraits. Our signature is creating beautiful photographs using a real photographer and flattering lighting. There is an honesty, a connection with your guests that allows us to capture everyone at their best. A little spontaneity from the photographer combined with the unique personalities of your guests result in lots of laughter, unforgettable entertainment and keepsake photographs.